Home Visit Hawaii in March! Tips to make the most of the Honolulu Festival! Let’s have fun together at the Honolulu Festival! Honolulu Festival is a cultural event held every March. Taking place in a renowned resort city popular among Japanese and people from all over the world, the festival attracts a number of participants and spectators each year. We look forward to seeing you at the next Honolulu Festival in March! What is the Honolulu Festival? 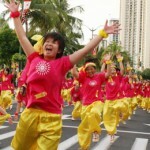 Honolulu Festival is the largest cultural exchange event in Hawaii. Through the exchange of the traditional arts, festivals, crafts and sports of Japan and many other countries in the Pacific Rim region, the festival aims to cultivate the friendship across cultures, and take a part in achieving the world peace. 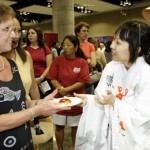 There are bilingual (Japanese and English) Honolulu Festival websites, brochures and announcements to meet the needs of visitors not only from Japan, but also around the world. 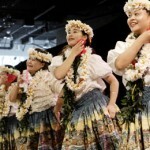 Honolulu Festival provides several venues where you get to perform in front of a large crowd, such as the Hawaii Convention Center and Ala Moana Center. With an abundance of opportunities to learn about various cultures, Honolulu Festival will make your Hawaii trip more than just a typical vacation.